RALEIGH – In several counties across the Old North State, Sheriffs are making a big deal about their refusal to cooperate with federal immigration authorities. They say they have no obligation to honor ICE detention requests of illegal aliens that commit crimes, but a new bill filed in the N.C. General Assembly would have them thinking twice. 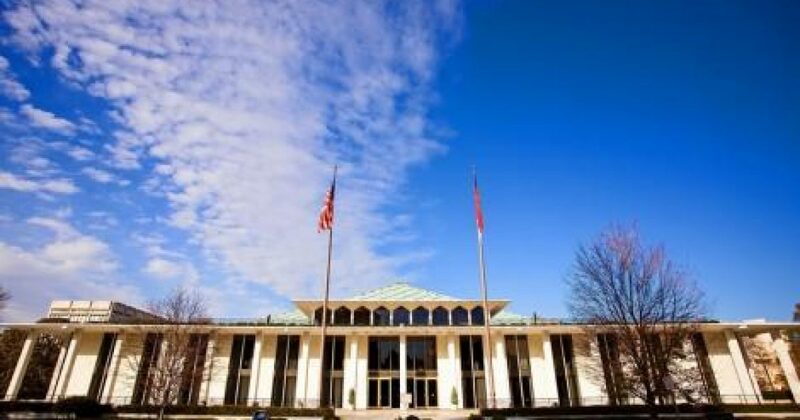 House Bill 370, filed by N.C. House Republicans and co-sponsored by Speaker Tim Moore (R-Cleveland) would levy fines of up to $25,500 a day for not cooperating in the enforcement of federal immigration laws. Rep. Brenden Jones (R-Columbus), who filed the bill, says law and order should ne non-negotiable when it comes to sheriffs offices, regardless of politics. “This is about upholding the rule of law that North Carolina sheriffs swear an oath to defend, instead of making public safety political at great risk to the people of this state. We will not allow criminals in the United States illegally to be released from our county jails without any notification of immigration officials,” said Jones. The bill would address some concerns sanctuary sheriffs have shared about keeping lines of communication open between law enforcement and illegal immigrant communities. However, it will effectively put a stop to the insanity of releasing criminal illegal aliens back into our communities and putting those communities at further risk of crime. If law enforcement fails to properly notify and cooperate with ICE or any other federal immigration authority, fines will be levied, starting at $1000 a day for the first offense and increasing beyond $25,000 a day for repeat violations of detention orders. The majority of sheriffs across North Carolina do all they can to keep their communities safe, including extensive cooperation with ICE and others to ensure criminal illegal aliens that shouldn’t be here in the first place are deported. It’s about time the other sanctuary sheriffs are held accountable for the reckless policies they are enacting on simple political grounds, defying the very essence of law and order. Being that the bill is co-sponsored by the Speaker of the House, as well as House Majority Leader Rep. John Bell (R-Wayne), the legislation is assured a series of votes. Those votes will reveal who stands for, and who stands against law and order. Hopefully the majority has sense enough to nip this problem of sanctuary sheriffs in the bud. Next articleHATE: Winston-Salem Teacher Giving “Synagogue of Satan” and “Satanic Jew” Classroom Lessons?